Home inventory, home prices and the number of sales for Highland Park, IL single family homes all fell from September to October 2013, following a typical after-summer pattern. Concurrently, the average market time increased. Home sales dropped dramatically from September, 2013 – 48 single family homes sold in September vs. just 35 in October, though this was more than sold in October 2011 or 2012. The average sale price of $659,100 in Oct. 2013 was the highest vs. October prices of 2011 and 2012 – up 13% from October 2012! – but down slightly from September 2013. Average days on market for October 2013 was 95 – up 66% from the prior month, despite the lack of inventory. For the first time in years, the number of homes sold was greater than the number of new listings on the market, dramatically illustrating the lack of inventory that has been plaguing the Highland Park market this year. If you are contemplating putting your home on the market- now just may be the best time! As you can see in the graph below, inventory is on a declining trend and the green bars below show that the number of homes sold is rising. To see details click on the graph. Are you searching for a new home? Can’t find it? Why not build your dream home In Highland Park on a fabulous one acre lot. Situated on a quiet tree-lined street and surrounded by many custom homes 1881 Old Briar in Highland Park offers an incredible opportunity to create your dream home and make it a reality. The lot dimension is 142 x 297 ~ the possibilities are endless. Is your perfect house a ranch, two story home or a master bedroom on the first floor? The property can accommodate up to a 10,239 square foot home (per Highland Park’s city guidelines). This one acre lot is being offered at $549,000 ~ for more information contact me @ Noah@NoahLevyHomes.com. 2012 has come to an end – what will 2013 bring? As an active REALTOR I think that 2012 was very active throughout Chicago’s North Shore – values of homes continue to inch up and the mortgage rates are still very low which is a great indicator that 2013 will be a very good year for Real Estate. If you are planning on selling your home in 2013 call me for a comparative market evaluation of your residence. Some important tips to keep in mind: 1. List to sell – your house will need to shine within its price bracket. 2. 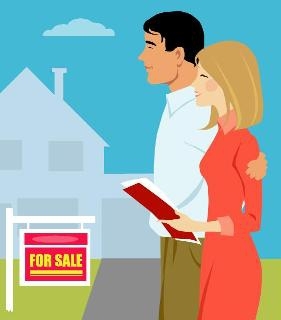 List with a real estate agent who provides you with a marketing plan- know what kind of marketing and exposure your home will receive. 3. De-clutter – get rid of things that you do not plan on taking with you – donate, have a garage sale or sell on eBay.